Don’t Cry Over Spilled Wine! Your white dress, the table cloth, your expensive carpet, a white shirt – it looks like the crime of the century has just been committed – there’s blood-red wine all over! Don’t wait! Get on it, time is important. A couple of clean towels for blotting. Do you have white wine handy? Pour it over the stain, regardless of whether or not you put salt on it. 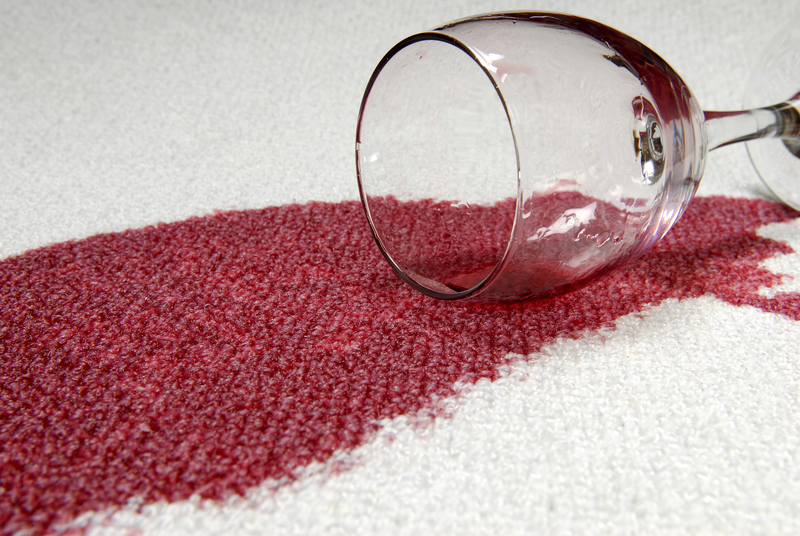 White wine will neutralize the red wine and make it easier to lift the color from your carpet or clothing. Gently blot the stains again. If the stains are still visible, pour club soda over them. Carbonation helps lift the pigment now that the salt has buffered it. Blot again! Okay, so you don’t have salt, club soda or white wine. Get a bottle of vinegar from the cabinet and pour it on the stains. It’s a perfect neutralizer of the red pigment and can be combined with a light detergent or club soda to rinse the stain. Then blot! Wait a few minutes and repeat the process if necessary. Finally, for the really equipped home, there’s hydrogen peroxide you can spray or pour on the stains. Follow this with a generous covering of baking soda (not baking powder). Let it sit for a few minutes then rinse with water. Assuming you’re not in the middle of a dinner party, drop any clothing items and table cloths in the laundry and wash them as soon as possible.